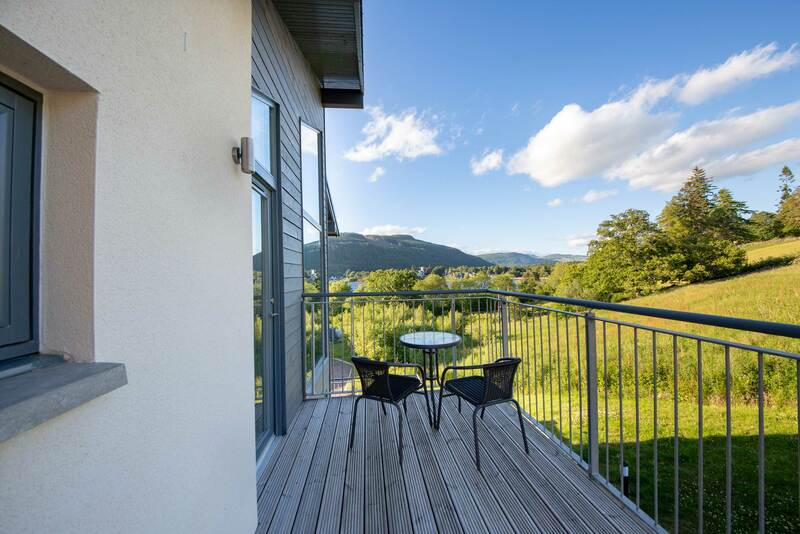 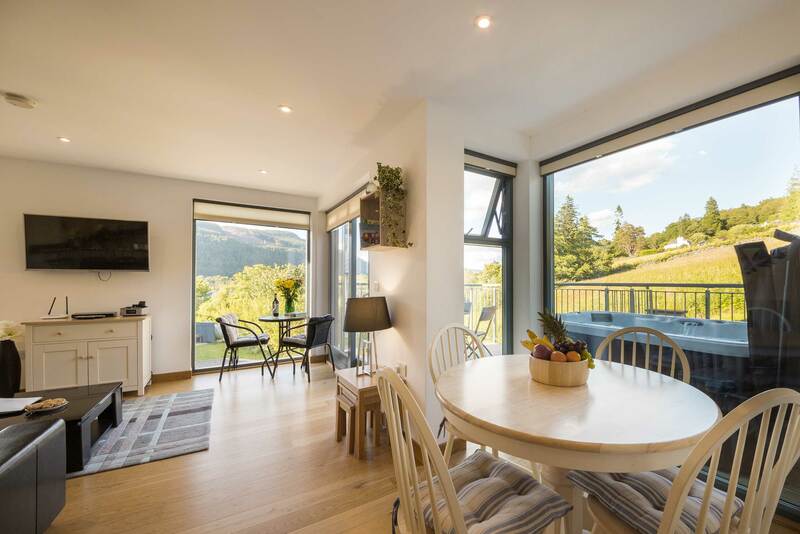 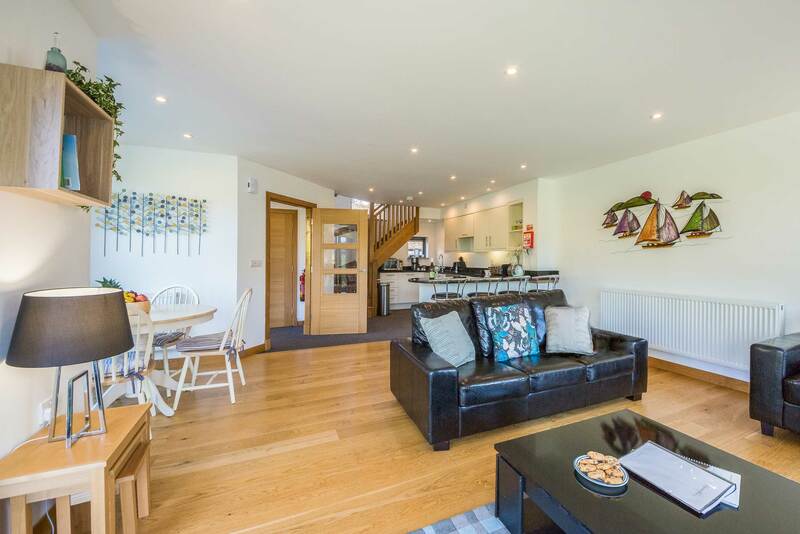 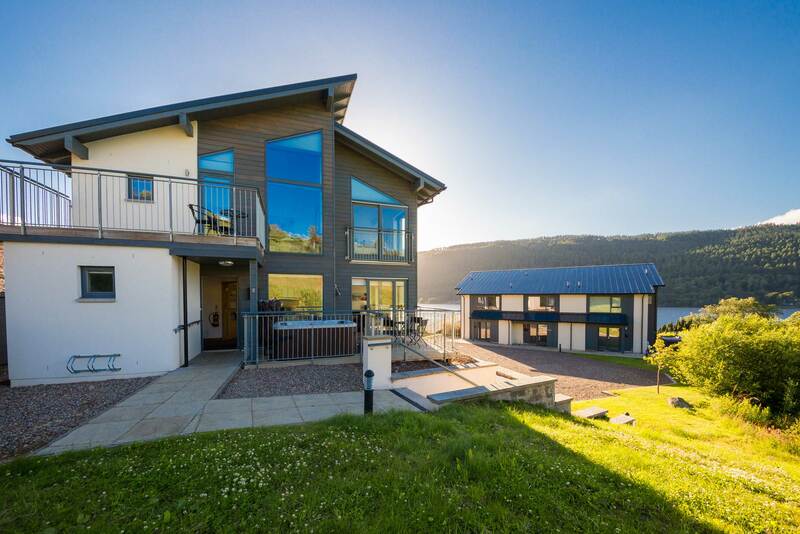 No.5 Lawers View is a spacious and modernised two bedroom house set upon the tranquil south shore of Loch Tay, offering magnificent views of the Marina and Loch Tay below. 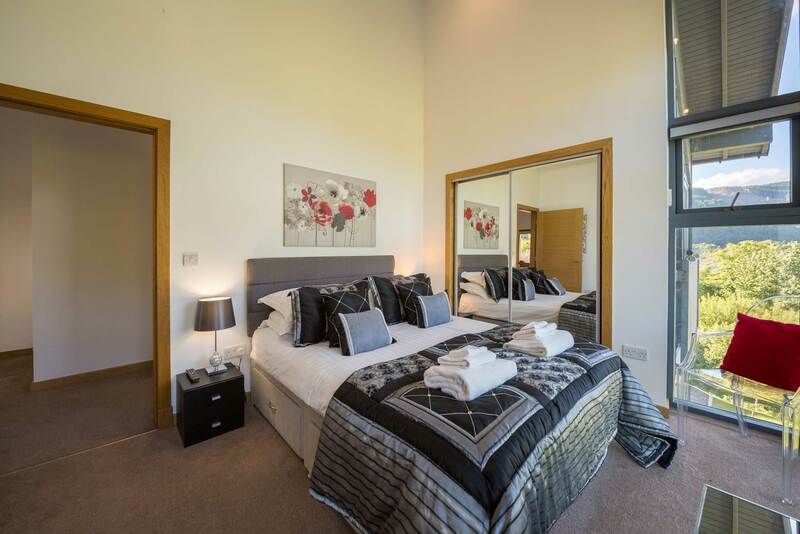 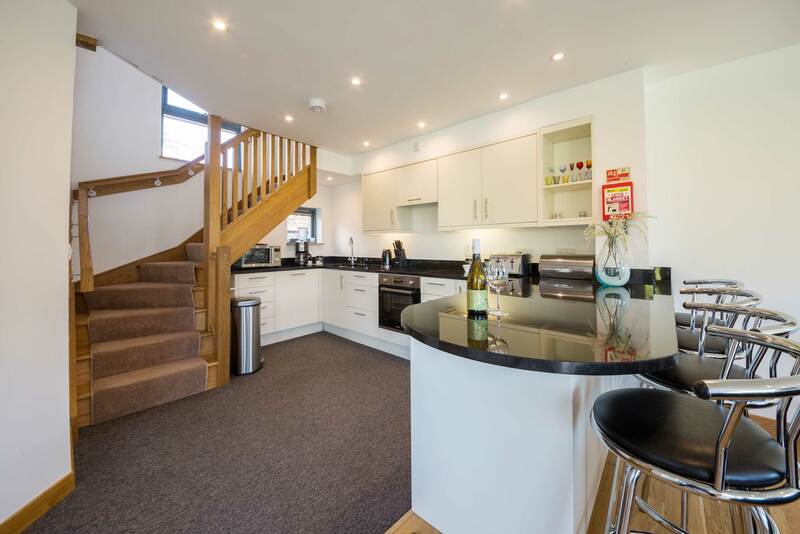 Comprising of an ensuite double bedroom and ensuite bunk room with additional single bed as well as a large open plan lounge, dining and kitchen area – No. 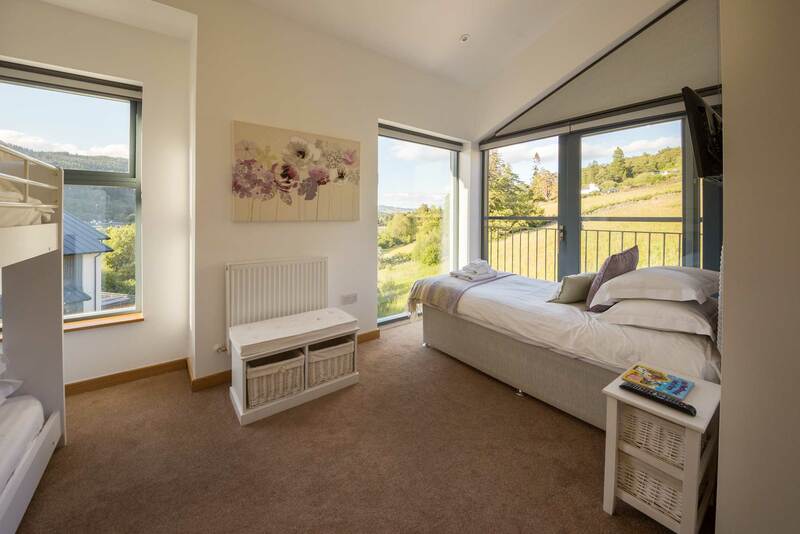 5 has it all. 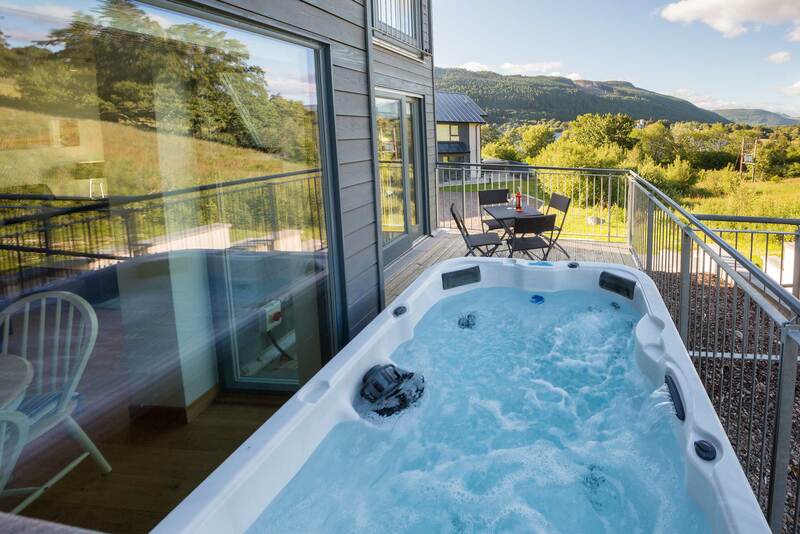 Complete with private hot tub and terraced patio, this property sleeps up to 7 people making it perfect for a weekend away with family or friends. 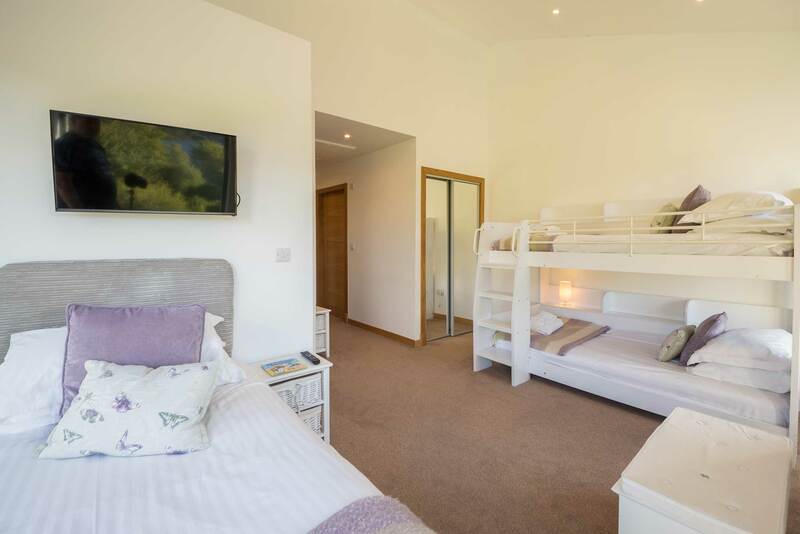 This Property is equipped with a sofa bed and can sleep an additional 2 people, (we would only recommend this for children under 12 years of age) Please note there is a one occupancy surcharge of £50 for this service.